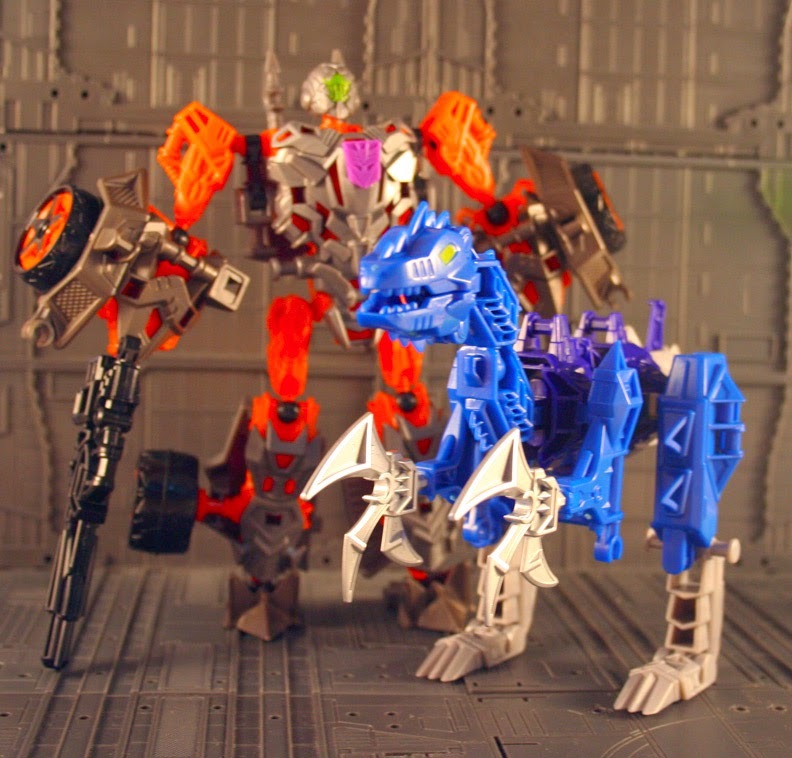 So some time has passed since I had posted my Construct Bots article, and there is an update to the line. Also since then the previous line has gone on clearance and showed up in places like TJmaxx, Marshalls, and Ross. In other words you can still find lots of the original kits for very affordable prices. If you want more details on those kits you can check out my review here. 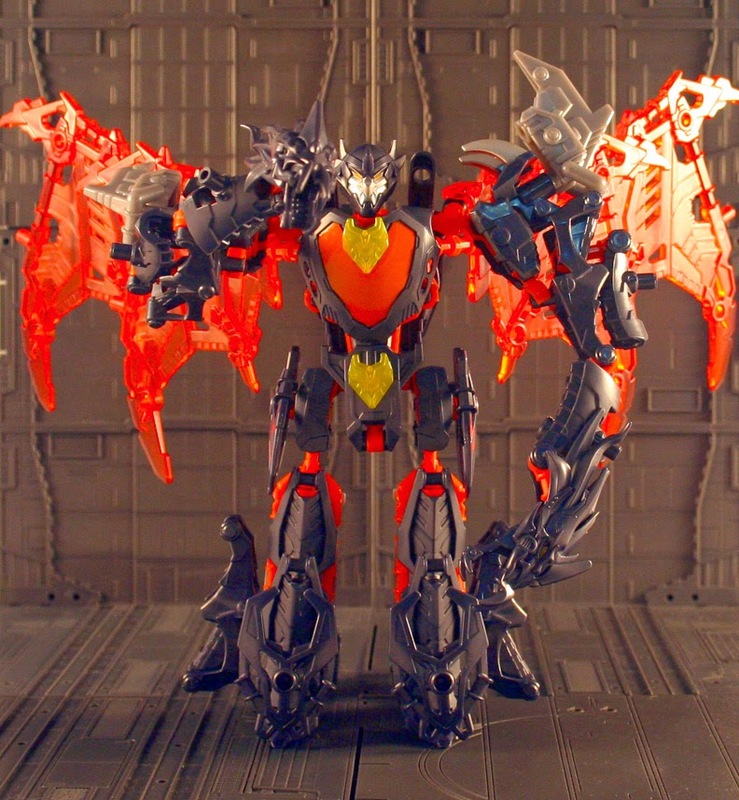 On note of the old style of kits you can see the Target Exclusive Predaking below. He has a lot of nice armor parts and the dragon necks make for good arms. I used two sets here to give him two dragon hands. The armor bits are more unique vs what we had gotten before and he is a great addition. With release of the newest Transformers AOE film a new line inspired from the film has come out. 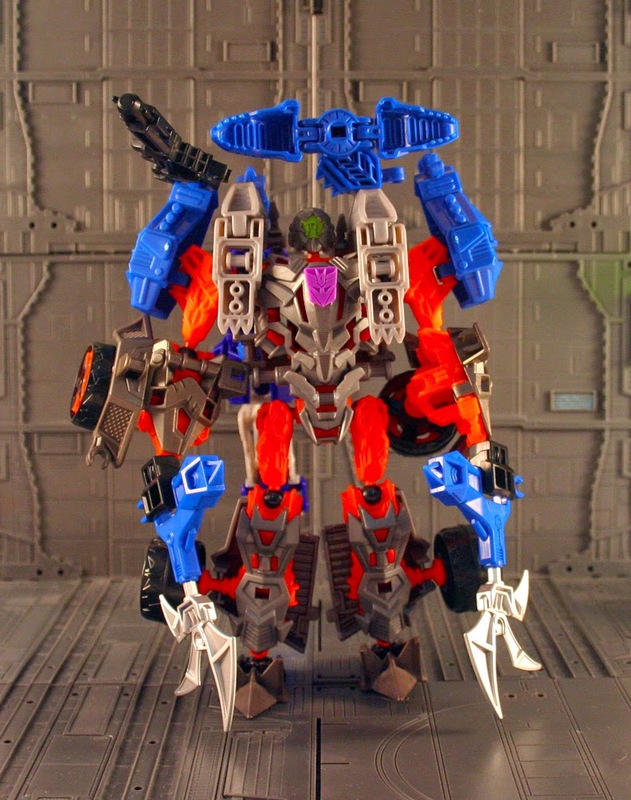 I grabbed Lockdown when they first came out. I was excited at first. There are some nice new armor bits. The characters now also come with dinos that turn into armor and provide more parts. As stand alone figures, they are an improvement. They have new core parts that make them more like action figures than before. 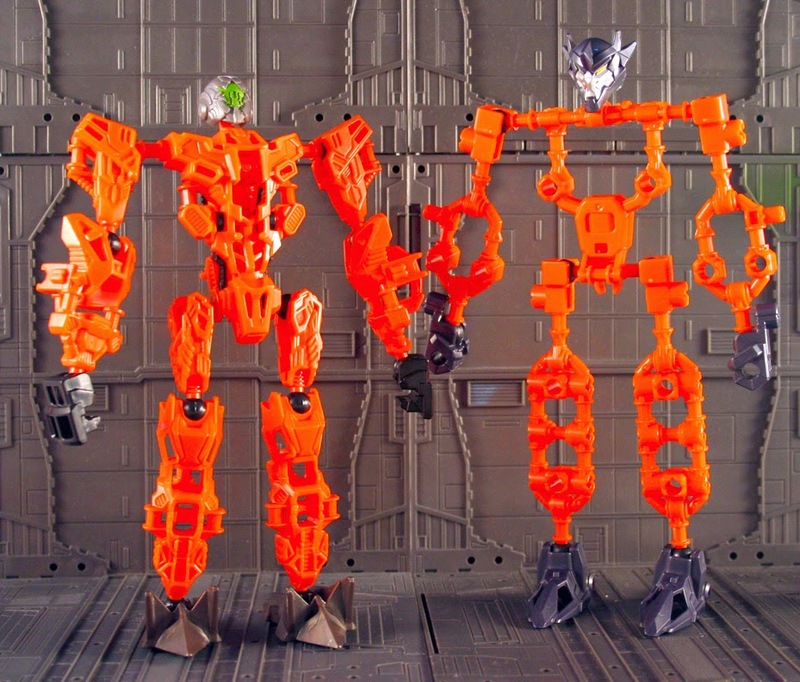 Here you can see Predaking and Lockdown without armor. You can see they are now very different. While the new design is more solid, and looks better it has lost much of the versatility of the original line. For the purpose I use them for as show in the previous article, they don't provide as useful a tool. The thing they do bring though is much better heads. The heads serve to be better generic mecha heads when coming up with your own designs. They are not as kiddish as the head designs before. There are also some nice armor bits that might work in the larger kit concept designs, though they attach in a different way. Unless you are just into the new designs, I say these might make decent head and armor additions once they start going down on clearance. 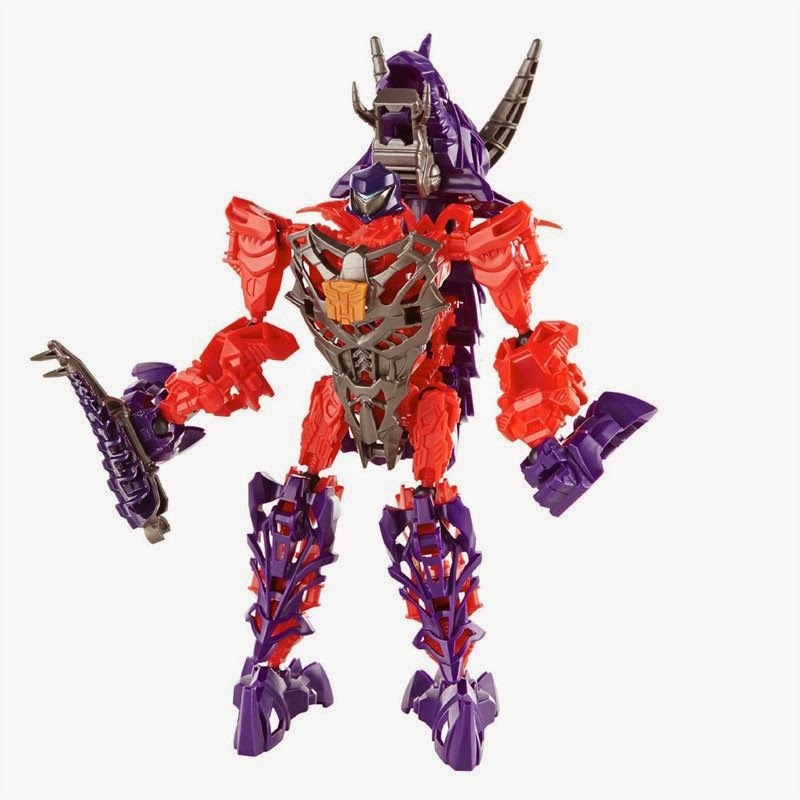 Below you can see a hasbro stock photo of dinobot Slug. Most of the heads for the dinobots have this sort of look and I think they are more useful in making new designs vs the old heads, but you will have a harder time making some of the other bits fit in your larger builds.